As with everything life sometimes gets in the way of that which is planned such as drawing a connection within the web of life to work with for the week. Life has certainly got in the way here recently in both good and bad ways but hopefully I am now back on track….here I feel the need to cross my fingers lol. As I dipped my hand into the bag to draw this week’s connection I found myself struggling to separate them. Usually there is one card that jumps into my fingers, today I was shaking at clumps of cards trying to separate them. This could be that the connections are eager to work after their enforced break, or it could be that this week’s connection was at that point unclear. The card that eventually shook loose was Hawk. Sitting here now with Hawk I first of all sense the freedom of rising above everything, flying high, catching thermals and then what captures my attention is the sharpness of sight, the hawk eye as it were and so comes Hawk’s message…..
‘Rise above the mundane, the everyday, for it is only by doing so that you can even begin to see clearly. Sitting still in the middle of everything only adds to the confusion. Rise like the hawk, step outside of what you have created around you and then you will be able to see everything that has been hidden from you’. I have always believed I was protected, that those who guide me also watched over me and made sure I was completely safe. This I trusted in implicitly. This feeling of being protected and being able to trust that I am looked after, is something that I am finding hard to hold onto at the moment. Although in one way I still hope I can trust that I am safe and protected on a personal level, I am learning that in others I am as vulnerable as the next person. Whilst on holiday earlier in the year, an employee of the place we were staying in broke into our locked room and stole money from us. This person was caught and is awaiting trial, we though are still awaiting the return of our money and have been told it could take as long as four years. For the rest of that holiday we made sure that everything was locked away or in the safe and that cases were kept locked. I am sure our next holiday will be no different. Then the other night we had one of our sheds broken into and several items stolen. Again I am left feeling vulnerable, unable at the moment to trust in the protection I once took for granted. I am feeling certain that at the moment it doesn’t extend to my belongings anyway. I recognise that this could all have been so much worse, that it is only money, that the things in the shed were of no great value and if we choose to, they can be replaced. For that I am extremely grateful. I have never valued material belongings anyway so that isn’t the issue, it is more that the trust that I had feels completely broken and I’m not sure how easily it can be restored. I am sure somewhere here there is a message and maybe in time I will see it clearly. The only messages I can see at present though are that I can no longer trust those who watch over me implicitly, that I need stronger locks, need to be more vigilant and that I need to strengthen the protection, energetic and otherwise, around myself, family and home. Just in case these aren’t the messages the universe wants me to receive, if anyone reading this has any ideas I’d be happy to hear them before the universe sends me the message for a third time, after all there are no coincidences and twice this year is twice too many. Tony Christie is a knowledgable and experienced labyrinth designer, labyrinth builder and artist who has as created a beautiful set of cards to inspire, teach and present the labyrinth in a new way. In doing so Tony has made the labyrinth accessible to each and every one of us, including those of us who are not lucky enough to have a physical labyrinth to walk at this time. Like most sets of cards Labyrinth Wisdom Cards consists of both cards and an accompanying booklet. 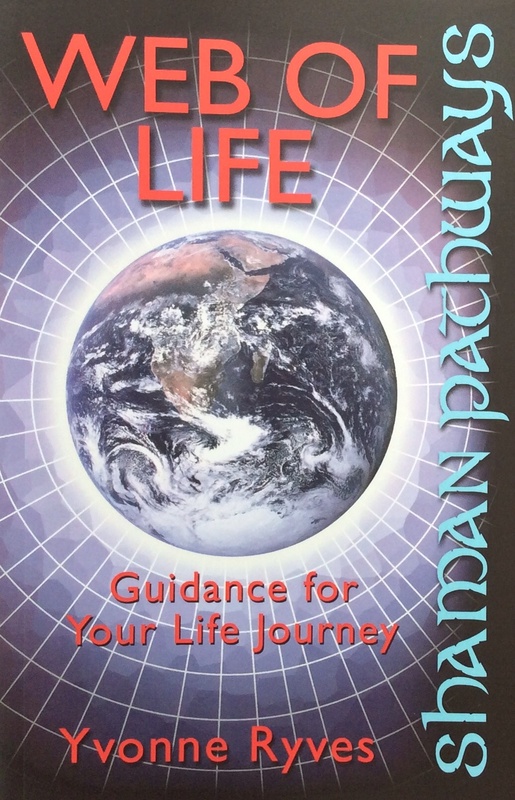 In the booklet Tony first introduces the labyrinth and explains the history of this most ancient symbol and then shares the way in which labyrinths can be used by us today, how they can reflect our path in life,highlight areas in need of healing, bring a sense of balance and centredness and enhance creativity. The forty eight cards in the pack can be used for intuition, three card spreads, chakra spreads, and body spreads as well as any other card spread that is in our repertoire. The wisdom of these cards is a welcome addition to my own spiritual resources and I am looking forward to working with them in more depth over the years ahead as I have no doubt they will serve me well. So far I have seen them work powerfully for my clients by providing the perfect message to assist their healing, in an intuitive way for my own guidance and as a group spread after a labyrinth walk. In each cases the messages have been strong, clear and easily interpreted. This is a truly beautiful set of cards, from the images and simple messages on the front of the cards through to the more in depth information to be found in the accompanying booklet. I would recommend them as a resource for anyone interested in working with the labyrinth in any way, as well as those looking for insight and guidance on their spiritual path. As there was so much interest in my last post about working with Spirit Guides I thought I’d share my first experience of meeting one which was during my Reiki Master’s apprenticeship when it was suggested that I ask my spirit guide to make themselves known to me. I was given the advice to sit quietly and centre myself and ask my main guide at the time to show themselves clearly to me. So I sat quietly and I waited, all the time asking for them to do so. I waited and I waited and nothing. Later that evening, sat mindlessly watching something on television I closed my eyes and almost immediately, saw letters being drawn in my mind’s eye. These were not ordinary letters but letters of fire and once they had finished being drawn I was left with a name. Needless to say I was completely freaked out! The name I had been given had no meaning for me, nor for my Reiki Master when I shared it with them. So I did what anyone with access to a computer would….I Googled it…….and still I found…. absolutely nothing. A few days later I found myself being drawn towards some books that we had purchased Many years before, whilst on holiday in Egypt. Settling myself down with these I proceeded to work my way through them searching for the name I had been given. Eventually I found it deeply embedded in some text and when I did it all began to make sense. The name I had been given was a little known, little used name of an Egyptian Pharaoh and the Pharaoh was linked to the Egyptian God Horus. It was not the pharaoh I had been seeking but Horus himself as it turned out. There had been signs before this, signs I hadn’t understood or known how to interpret. For example when meditating to find a symbol for my masters training I had been shown the Eye of Horus, the all seeing eye, a powerful symbol of protection. Later, after my apprenticeship had finished and I needed to extradite myself from some people and work I had become involved with, I learnt how powerful and protective Horus is as a guide and how calling him in had, at that time anyway, the ability to completely change the situation for me. Like many guides Horus is not continually present for I do not need him to be so. He was there at the beginning when I needed him and I like to think that he would be there for me again should I ever find myself in a position where I needed his form of protection. He is not a guide that I work with now but nevertheless I am grateful to have had his presence when I needed it most. Later, when I had learn to work with other guides, I asked why I hadn’t been given the name of Horus in the first place, why I had been led on such a wild goose chase. Their answer had been that if I had been I wouldn’t have believed it. By sending me something that would lead me to research, investigate and eventually uncover what I was seeking myself, they had created a situation where I would believe what I had found. This is in fact completely right. It seems my guides know me well. One of the things I do is Spirit Guide Readings and I was asked by a client recently if I could explain how I work with my guides in this way and having gone through it for them I thought others might be interested, after all it’s always fun to compare how we work isn’t it. I didn’t grow up seeing spirits, hearing voices, knowing that there was help and support around me so my first real meeting with my guides was about 10 years ago, although I now know they have been with me for much much longer than this. Even though I knew they were there at this point and had met one in particular when journeying I really didn’t know how to work with them outside of a shamanic journey. For a long time friends who had psychic abilities were telling me that my guides were saying that I wasn’t listening, but to be honest I was trying I just didn’t know what it was that I needed to do. I had purchased a couple of sets of cards and thought these might help if I could learn to work with them but all they did was frustrate me. I really felt the cards were in the way. Then when on a course a medium was explaining how she worked, how she talked to her guides and they connected her to other people’s and I found myself thinking ‘That’s how I read’, which at the time made no sense to me at all as I didn’t speak to my guides yet alone do readings. Soon after though I found myself sitting with pen and paper in hand in what I now know to be a light trance, writing automatically. This continued on and off for a number of months and during that time I came to know my guides, the sound and feel of their voices and the energy of each of them. This became my training ground with them in many ways. Eventually the automatic writing shifted to a two way conversation which is how it remains today. I still sit and write the conversation, both sides of it, theirs and mine for I have realised this is how I listen. It is very useful to have this to look back on, to read through later too and has now taken the form of journalling for me. When I look back now I can see how perfect this way of listening is for me for it’s how I learn. In courses or meetings if I don’t make notes I don’t hear anything. If I am listening to a recording I need to do the same. Many years ago studying with the Open University I ‘lost’ several hours supposedly listening to pre recorded course material when in reality I was journeying and not even present. So yes working this way with my guides really suits me. When I’m reading for others though I don’t write at all but speak what I am being shown or told and this I record onto a digital recorder for if I didn’t I wouldn’t remember what I had been told to pass on in any way. This recording is then emailed to whoever I am reading for. If it is a distance reading it is needed immediately, if a person to person reading it is there for future listening if needed. Working this way is what works for me. When I am asked for advice on how to work with guides I always say that it is important to find what works for the person asking. I also explain that guides work with us in many ways, day in day out, but that we often overlook their guidance for it can come in what may seem very small ways. It might be a series of ‘coincidences’, a book left open at the very thing you need to see, a song on the radio, an overheard conversation, a poster in a window, an unexpected gift, for example. Our guides use any possible ways that are at their disposal in order to reach us, all we have to do is learn how to listen to them. Today is my 60th birthday. I’m not really sure how I got here to be honest. No idea at all where the time has gone. What I do know though is that a) in many ways it has gone very quickly b) that the years have been packed full of adventure and c) that there is no way I feel 60 at all. I think in my head I’m actually somewhere between 18 and 27 depending on what sort if day I’m having, although those closest to me would say that some days I’m stuck nearer 5! I can clearly remember a conversation once along the lines of ….’if you haven’t grown up by now you are always going to be 5 aren’t you’. Last week I wrote about preparing for Autumn and part of that was recognising the need to get jobs done before the Winter, a kind of do it now or it doesn’t get done. I think this blog post also reflected how I have been feeling about myself. Not that I feel I am running out time but there is a recognition now that I am certainly moving into my own Autumn (and no it’s definitely not my winter 🙂 ) I know now how quickly things change and that what seems ok one minute may not be the next. My life and I need maintenance, just as my home and garden do. Although in many ways I have known this for a long time it is only now I can see quite how important it is. I can also see how the work I have been doing in my OBOD Bardic Training has led me to this point. A point in time where I have had chance to reflect on many areas of my life, to clear away what no longer works, to recognise what is important, what for me brings pleasure and passion and what I want to nurture and nourish as I move forward. It is also a time where I can look back in the last decade and be grateful for how much I have been able to accomplish. So for me turning 60 isn’t a time of regret or of sadness but a time of joy and celebration. It is chance to have fun with friends and family, to laugh a lot, to eat too much and in the celebrating to recognise that I have worked hard to get here and that it has all been worth it. Whatever the coming decade holds for me I have prepared well this year and know that I am stepping into it in the best way possible having made lots of room for amazing things to come in. No matter how old I am life never stops being the most incredible adventure. What are you doing for Summer Solstice?